Girish is Founder, Molqbits Sensors & Data Pvt Ltd, Pune [BIG Grantee]. He is PhD [Carbon Nanostructures] from National Chemical Laboratory, Pune. His research Interests include Raman Spectroscopy, Nanoscale Carbon, Energy Storage Technologies, Open-Source Hardware, Data Visualizations, Biohacking. Prakash is Director and Principal Designer at Onio Design Pvt. Ltd., Pune. He is B.E. (Mechanical Engineering) from Mumbai University and has a Post-graduate diploma in Industrial Design from National Institute of Design. He is a practitioner of innovation by design and has vast experience in building the expertise of design thinking and creative engineering, leading dynamic teams of designers & engineers for creation of brands, products and services in the demanding verticals of Healthcare and Mobility. Nishant is Founder, Embryyo Technologies, Pune. He is B. Tech, M.Tech (Mechanical Engineering, IIT-B), Fellow (Startup Leadership Program, Venture Center). His research interests include microfluidics, mechatronics, medical product design and medtech hacking. Vinayak is Director and CTO at Prescient Technologies Pvt Ltd. He obtained his masters degree in engineering from IISc Bangalore. His field of work is computational geometry. His interests include aviation, theatre. Sanjay is Founder and CEO at BMek. He has more than 25 years of experience in the areas of IoT, Machine Learning, Big Data, Embedded Systems, Industrial Automation and Automotive Systems. He initiated, developed, led practices in the areas of Industrial Automation, Automotive Electronics, Semiconductor Equipment Manufacturing, MES Systems and Product Design Services. He managed more than 100 projects / programs with cross-functional teams. 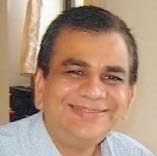 He has worked for Tata Motors, Satyam Computes, KPIT, Tata Elxsi.